Do YOU want be on Project Runway???? If your answer is a resounding "YESSS!!!!!!" , then darlings, keep reading...As you may know, we are now on Season Ten of Project Runway-- Yes, kids, it's the Tenth Anniversary Season (note to self: I feel REALLY OLD!!!). I flew to Chicago last week to film some fun "Call To Action" videos for a very special contest/opportunity for fashion designers wanting to be on Project Runway for the newest--and most fabulous--fashion and beauty channel on YouTube: Look TV... Look TV has partnered with the Co-Creators and Executive Producers of Project Runway to create this FIRST TIME EVAHHH (!!!) opportunity: a chance to audition for the show! THIS is your only chance to get a spot on the exclusive Final Closed Casting Session in Los Angeles on May 1st. 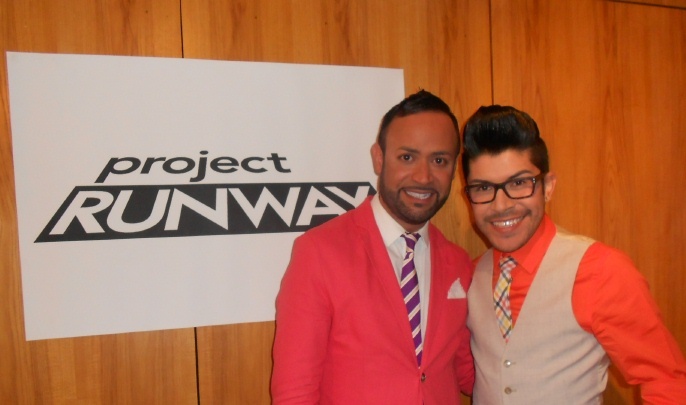 The search is on for the next Project Runway fashion designer candidate! Here's what you have to do: *Submit a creative 1-2 minute video explaining why you're qualified to compete for the show. *Show us why YOU think you can "Make It Work!" *Make the best case of what you have to bring to the table as a unique, innovative fashion designer. *The Look TV/Project Runway team will judge each of your submissions/videos and select their FAVORITE candidate to join the designers already chosen to show their designs--in LA on May 1, 2012. *At this exclusive closed casting session, one lucky winner will go through an in-person interview and assessment of their designs. *Look TV will chronicle the journey of our lucky designer hopeful as he or she vies for the spot in the top finalists. *Do YOU have what it takes to make it to the Final Casting Session?? If you think so, then send your video to: looktvnet@gmail.com. DEADLINE is April 26 so "Make It Work! "...like NOW!!!!! 2 Responses to "PROJECT RUNWAY.....Project Runway LOOK TV Talent Search: Opportunity to Audition"
I had a BLAST filming with you in Chicago for the Project Runway video! Thanks for making it a great day even though my daughter got a "No, but come back next year." 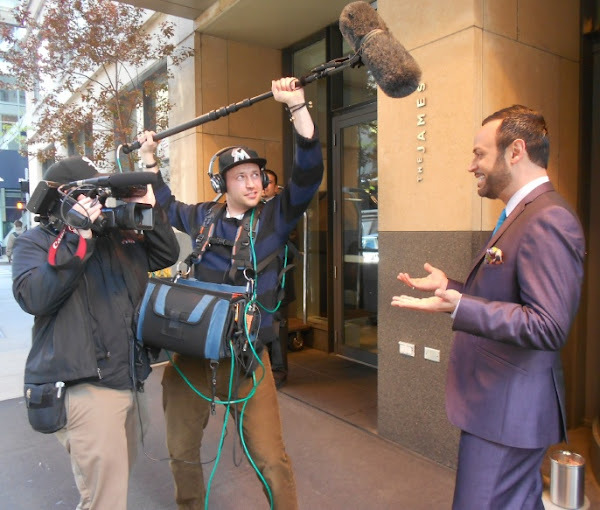 You are a rare "personable celebrity"! Filming with you in Chicago was amazing. How great to be interviewed by someone who has already been where Im going. It was the opportunity of a lifetime being there and meeting you along with the others and I can't wait to see you all soon. I was upset I didn't remember your name at 1st but I knew who you were, I never forget a face. Anyways it was an awesome experience, 1 I will NEVER forget.